Tired of being bland and dull? 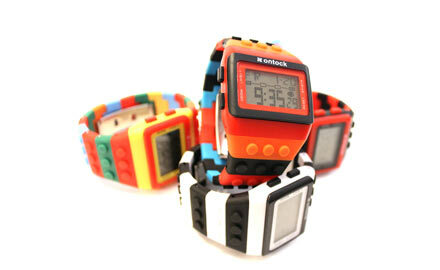 Here’s one colourful watch that will get you noticed everywhere you go! 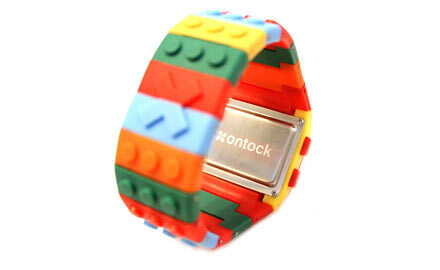 The BLOCK WATCH by ontock is one of the most creative and unique watches on the market today. 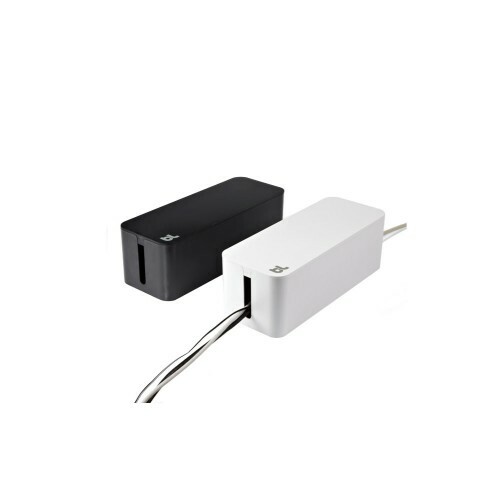 You can choose from the cool everyday Black and White to the exciting Blaze, Gleam or Spark color combinations. More than just good looks, your BLOCK WATCH will also come with an alarm, chronograph (stopwatch), night light and adjustable strap. Plus you get a 5 year warranty! Give yourself or your loved one the unique BLOCK WATCH and start having some fun today! SKU: N/A. 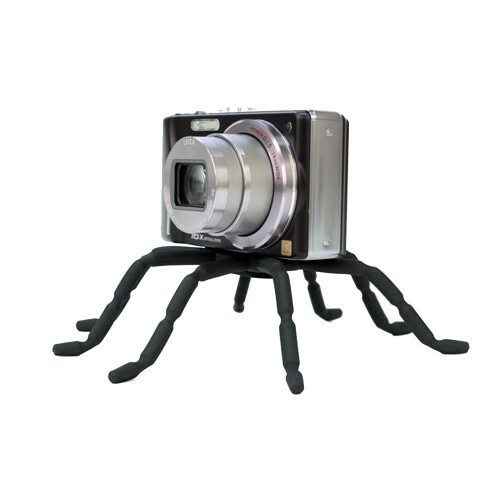 Category: Personal & Home Gadgets. There’s a watch for every kind of person. There’s a watch for millionaires, a watch for pilots, a watch for scuba divers. 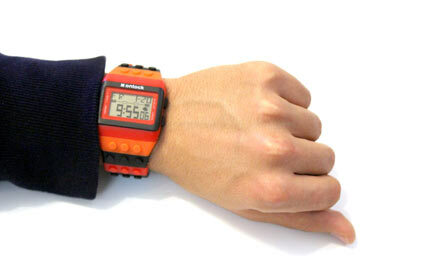 But, what about a cool and unusual watch for someone who just wants to have fun? If you’re searching for something fun, something original, look no further! 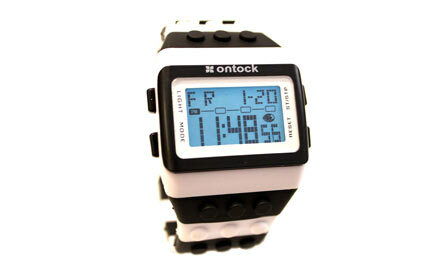 All you need is a digital BLOCK WATCH from Ontock. It’s the perfect watch for men, women or children with its adjustable wrist strap. The big, large face along with the unique color combinations are designed to put a smile on the face of anyone. This is the timepiece for you if you’re looking for something different! The BLOCK WATCH has all the features that you would expect from a standard watch: time and date: 12/24-hour format, chronograph/stopwatch, alarm, and more. But of course, it doesn’t look like any other standard bland watch! It’s the watch you would wear to the party – to be the life of the party! Definitely a cool timepiece people will talk about. Plus, it makes the perfect gift for that someone that seems seems to have everything. They don’t have one of these.. Yet! There’s no denying it! The fashionable and stylish design makes it the most eye-catching and cool watch available today! Lady Gaga, eat your heart out! You’ll have no trouble finding the style for you! From basic Black or White to the more interesting color combinations such as Blaze, Charge, Gleam, or Spark! 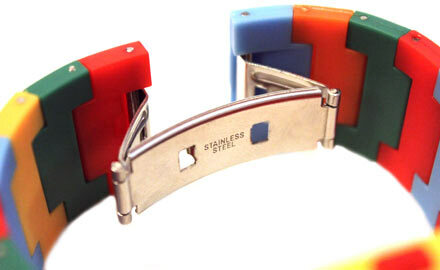 The clasp is made from high quality stainless steel. 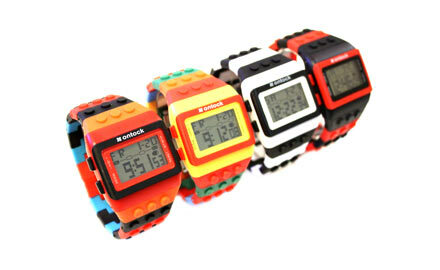 Plus, the BLOCK WATCH comes with an industry unmatched 5 year warranty. See in the dark! Well, almost. At least you’ll be able to see the time in the dark with the cool blue indigo light. Ready? Set? Go! You can time yourself doing anything with the built in stopwatch. You never have to be late again with the built in alarm. Although, if you sleep in, we won’t blame you! One size really does fit all. Although sized for adults, links can be removed to size it down for any wrist including men’s, women’s or children’s. You know THAT person that has everything? They don’t have one of these! Even if this isn’t your style, this cool watch would make the perfect gift. 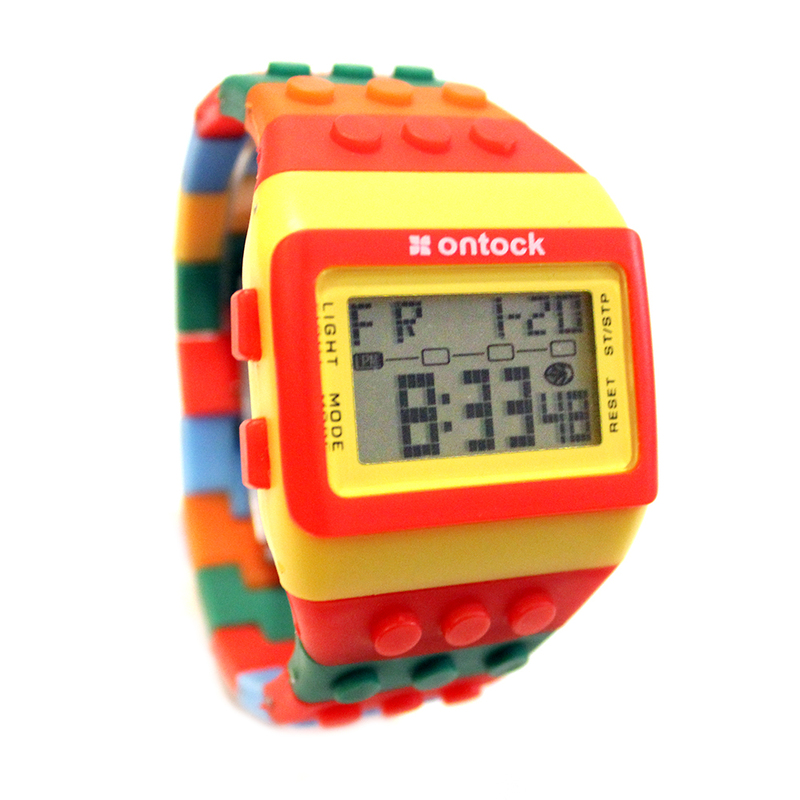 What else do I need to know before I get my own Ontock BLOCK WATCH? Not your style, eh? We’ll that’s not a problem at all. We’ll give you a 100% refund within 90 days of purchase! We’ll make sure you’re happy. How can I pay securely? We take Visa, Mastercard, Amex securely using Paypal. No Paypal account is even required! Just follow the prompts, it’s easy we promise. Don’t you hate it when you buy something and only get 1 year warranty? Yes, we hate it too. 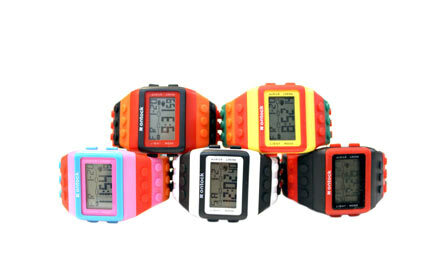 So, when you buy your BLOCK WATCH from Gogadgety, you’ll get a full 5 years warranty at no additional charge. Be the first to review “Unique Fashion Digital Wrist Watch for Men or Women BLOCK WATCH by Ontock” Click here to cancel reply.